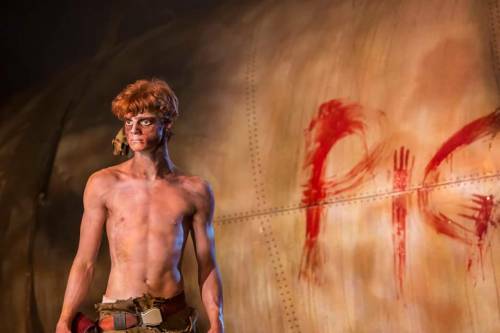 The critically acclaimed Open Air Theatre production of Lord of the Flies concludes its UK tour at the Churchill Theatre, Bromley this week. William Golding’s modern literary classic is brilliantly converted for the stage – gripping, adventurous and well-executed in every aspect. It takes a lot for a play to grip me as much as a musical does, and this production had me engrossed throughout. From the moment I walked into the theatre I was taken by the amazing stage. It’s not often I specifically pick out a designer for praise but how could I not; the incredible set immediately connects you to the piece and sets the tone for the entire production. 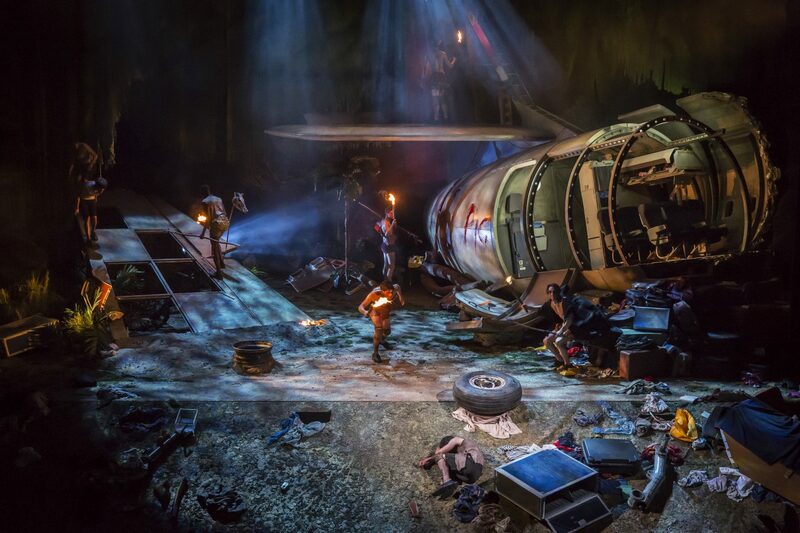 It’s dirty, cluttered and confusing reflecting the feeling of first discovering the island, but as you move through the show it transforms, becoming darker and more mysterious – I’ve never seen a set do its job so well. The boys fly about the set so naturally, they really bring it to life even further. It’s impossible to identify a weak link with the cast. It’s nice to see that many of them are relatively new to professional theatre too – their raw talent works particularly well with this piece, playing the roles confidently but with an edge of uncertainty making the characters so real. I must also commend everyone’s transformation through the show, seamlessly going from obedient, hesitant schoolboys to wild, unhinged inhabitants. Standout performances for me came from Freddie Watkins (Jack) and Anthony Roberts (Piggy). Freddie commands the stage from his first word, perfectly portraying the irrational opposing leader. Anthony is an endearing Piggy, within minutes creating a naturally comical, lovable character. This really is an exquisitely well put together production in every aspect; from the set and lighting to the well-choreographed fight scenes, the soundtrack to the casting and script. The contemporary undertones bring relevance to today’s modern issues bringing Golding’s text right into the 21st century for the audience. Definitely one to watch whether the text is on your GCSE book list or not! 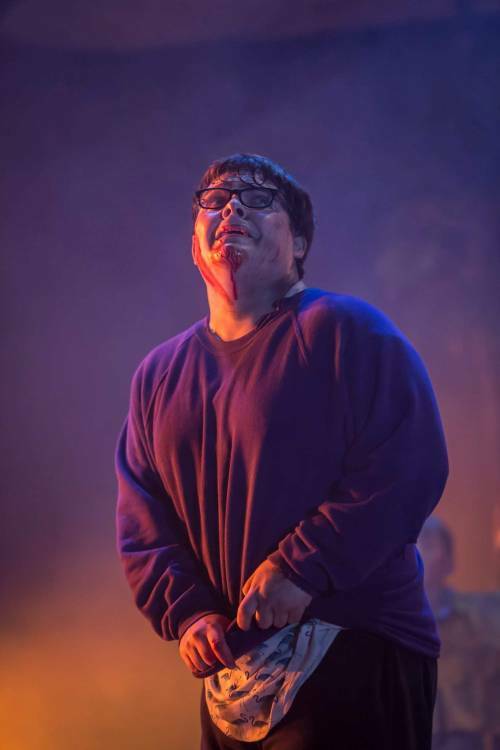 Lord of the Flies finishes touring the UK at The Churchill Theatre, Bromley this week with its final performance on Saturday 19th March. Tickets available online.